What Happens If My Bed Bugs Come Back After Treatment? Your bed bug treatment will take 5 weeks to kill your bed bugs. However if your bed bugs come back after treatment, then you are covered with our 6 month guarantee*. Firstly, we get very few call-backs. 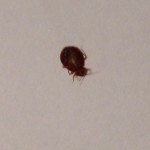 We have an extraordinary success rate with our bed bug treatment and nearly always sort the problem out with one visit. However, if the problem does persist we will come back as many times as needed to get rid of your bed bugs. Please contact us if you are still experiencing a bed bug problem.